For the past 20 years, Willow delivered dynamic presentations that inspire; providing practical tools and wisdom for implementing successful organizational change. Willow has presented to leaders and organizations across Canada and Europe and the United States. Willow Brôcke serves as Adjunct Faculty with Haskayne School of Business at University of Calgary and is currently an Instructor with the Haskayne Executive Education course: "Building Effective Teams". Increase your confidence and effectiveness as a team-builder to drive your people beyond any challenge towards success. Successfully navigating modern business challenges requires individuals to work together to achieve extraordinary solutions that simply cannot be accomplished by working alone. In the current state of increasing market competition and complexity, skill in creating and leading effective teams is more essential than ever before. 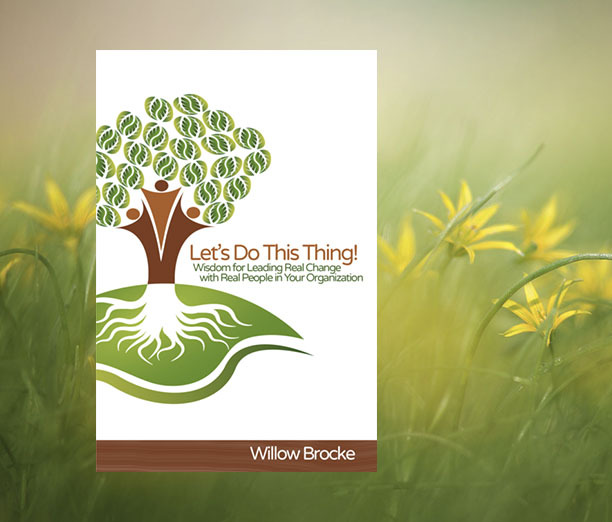 Willow is the author of "Let's Do This Thing!" Leading real change, with real people! Drawing from current research and cutting edge thinking on the psychology of human change, Willow uses humour, simplicity and creative ideas to support and inspire leaders to shift their thinking and actions – becoming more powerful in their ability to lead real change, with real people.